This dish can be served as a side dish or a meal by itself. This dish is an Indo -Wester fusion dish. 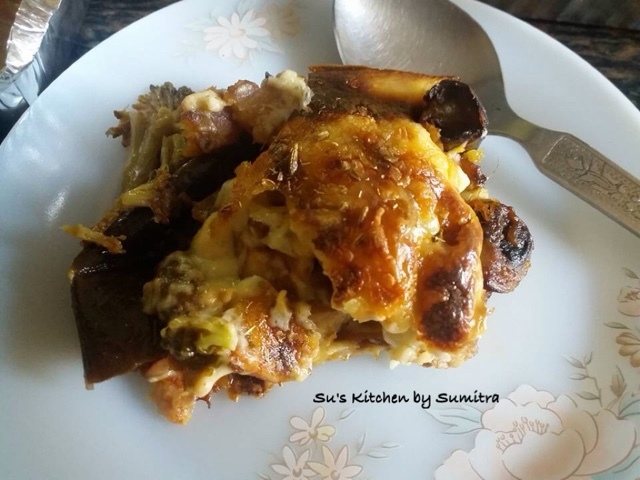 I have used Indian spices in the baked vegetable dish and given it a twist. This is an experiment in my kitchen. The cheese has well combined with the Indian spices. 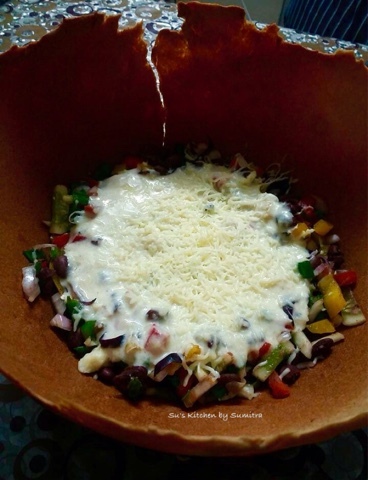 It gives a sharp taste of the achari spices as well as the creamy texture the cheese. 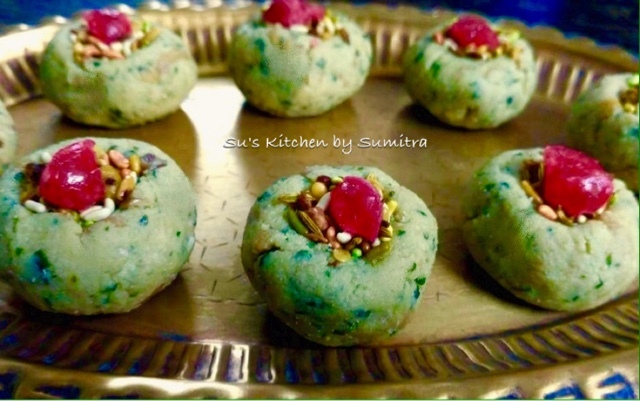 Instead of using all purpose flour, I have used sattu. Do try it and experience it yourself. 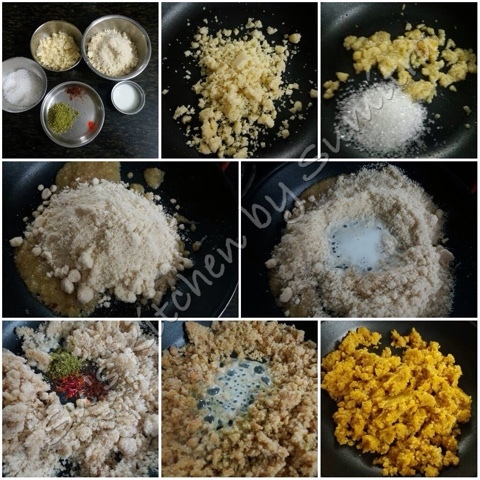 Grind all the above ingredients in to a powder. 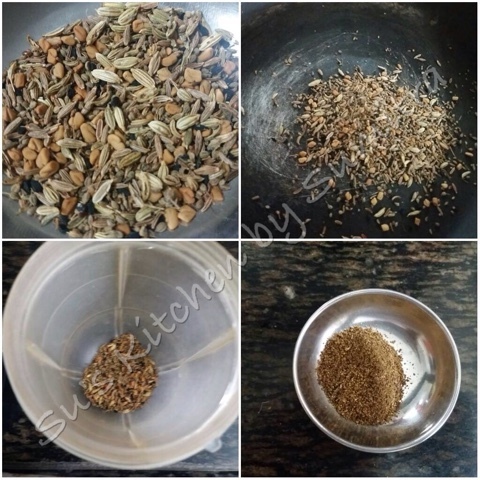 This powder can be stored in a clean glass bottle and can be used to make pickles or any achari vegetables or meat. Take a pan. Add oil. Let it heat. Add the garlic. Sauté it for few seconds. Add the sweet potato, carrot and onion. Sauté it. Cover and cook for 2 minutes, stirring it occasionally. then add the brinjal, capsicum, broccoli and mushrooms. Stir fry the vegetables. Cover and continue to cook till the vegetables are done. Add the salt, mustard powder and achari masala. Stir it. Switch off the flame. Keep it aside. Take a pan and add butter. Let the butter melt. Add the Sattu and roast it for few seconds on low flame. Gradually add the milk... stirring it continuously. As the sauce thickens, add the cheese. Stir it for few seconds. Switch off the flame. Add salt, mustard powder and fennel seed powder. P. S. If the sauce has thickened up add 1/2 of milk and heat it up once more. Take a baking tray. Add the vegetables and pour the sauce from top. Sprinkle some more cheese from top and sprinkle with coarsely ground fennel powder. Bake it in a preheated oven for 15 minutes at 200 degrees celcius. Remove it and serve it hot. 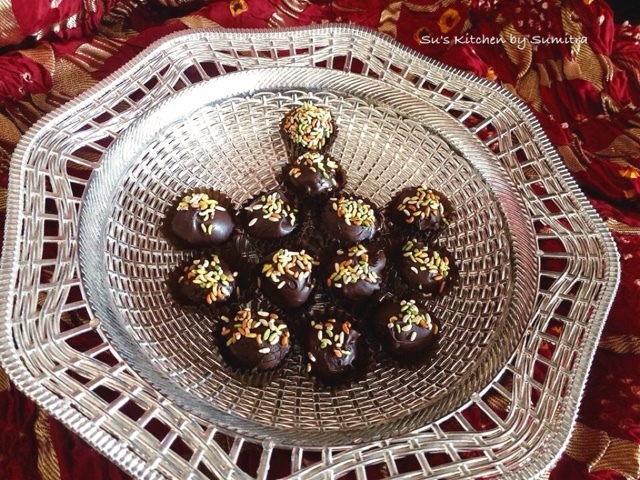 Take a grinder, add the cake crumbs, chocolate ganache, gulkand and betel leaves. Grind it into a paste. Add the cake crumbs into a grinder and grind it into a finer crumbs. 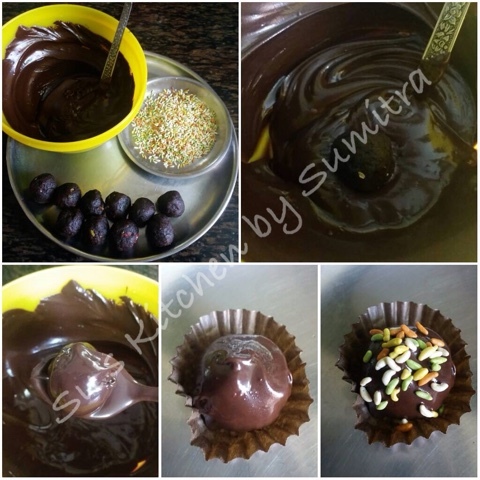 Remove it into a mixing bowl add the chopped betel leaves, gulkand and chocolate ganache and follow the rest of the process. Add the paan masala, chopped glazed cherries, sugar coated fennel seeds mukhwas, rose petals and desiccated coconut. Knead it into a dough. Make small balls from the dough. Melt the chocolate in the microwave and cool it down to room temperature. Dip a cake ball into the melted chocolate. Remove it and keep it on a chocolate / small cupcake liner or a parchment paper. Sprinkle some sugar coated fennel seeds. Repeat the same process. Refrigerate for 10 minutes. Serve it. I have betel plant growing wild in my balcony. I love the flavor of the betel leaves with gulkand and sweet fennel mukhwas. My experiment with Sandesh continues. I have infused betel leaves and gulkand with paneer. Have it at the end of a meal. 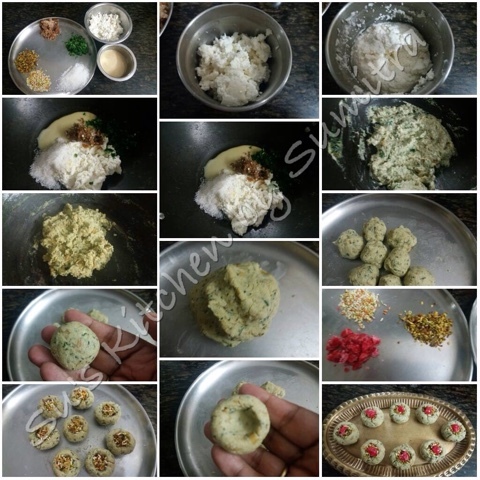 As you eat it, first taste is of the sandesh and then the flavour of the paan..
Take the paneer and blend it in a blender. Take a wok, add the paneer, Betel leaves, dessicated coconut and condensed milk. Keep stirring it continuously and cook on low flame till all the ingredients combines together and forms a dough. 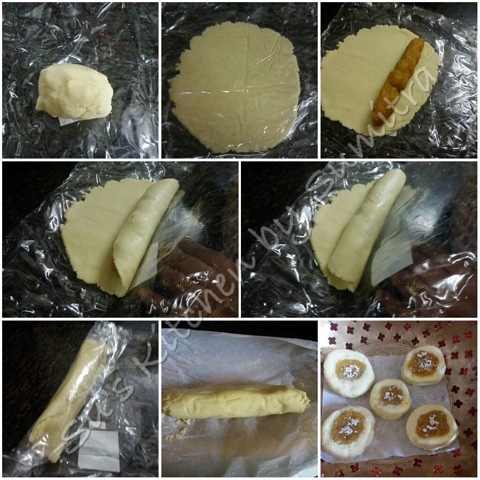 To check, take a small portion of the dough and roll it with your fingers. Remove it from the wok and keep it on a plate. As it cools down a bit. Knead it for a minute and divide the dough into 8 equal portions. Mix the 2 types of sweet mukhwas together. Take a portion. Roll it into a ball and slightly flatten it. Create a dent in the centre. Fill up the centre with the mukhwas and add a cherry piece on top. This recipe is excellent for any dinner party and can be served as a starter. 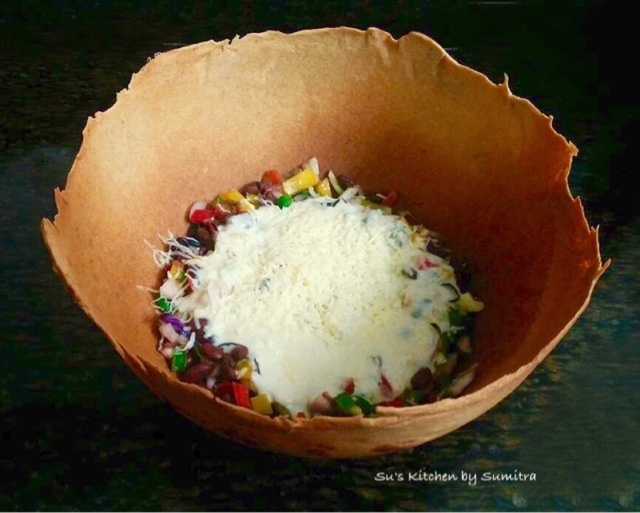 The tortilla bowl is made out of whole wheat flour. 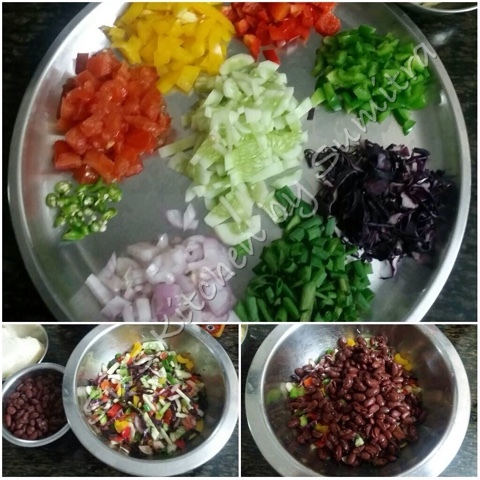 The bowl is served with vegetables and kidney beans salsa. 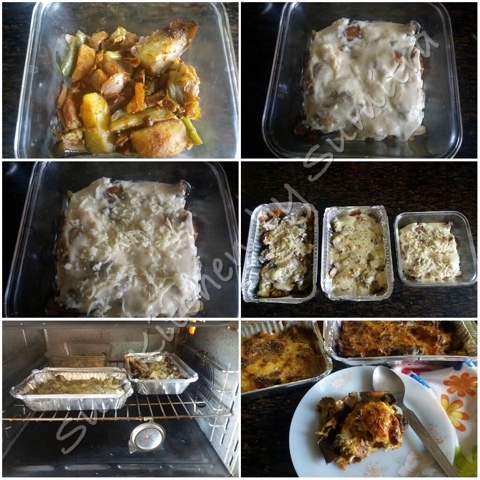 It is topped with cheese sauce and garnished with grated cheese. Add oil and salt to the flour. Mix it well. Add water to make a semi hard dough. Cover and let it rest for 15 minutes. Take a big mixing bowl. Grease the outer side of the bowl with oil and keep it upside down. Apply oil to the dough and roll out a big circle. 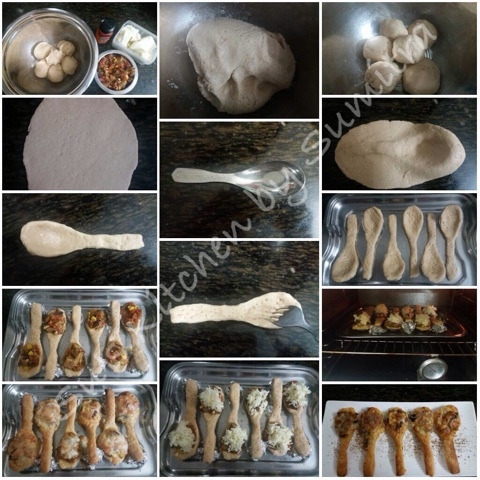 Gently pick up the rolled dough and place it on the bowl properly. Cut the extra dough off. Place the bowl on the lower rack of the oven. 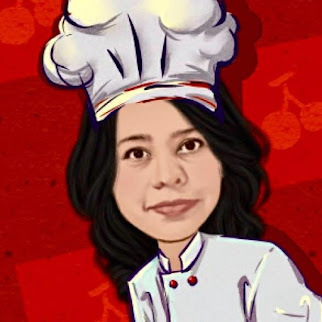 Bake it at 180 degrees celcius for 15 minutes in a preheated oven. Remove the bowl from the oven. Switch on the gas. On medium flame, hold the bowl at one end with a napkin and cook the outer covering of the tortilla from all the sides. This will give a roasted effect. Reduce the temperature to 150 degrees celcius and bake it till it becomes crispy and brown for approximately 15 minutes . Remove it from the oven. P.S. You can use the remaining dough to make another small bowl. Stir it and cook the sauce till it thickens a bit. Keep it aside. Take a mixing bowl. Add all the above ingredients and mix it well. Take the tortilla bowl. Add the vegetable salsa in the bowl. Drizzle few drops of the chill mango sauce. 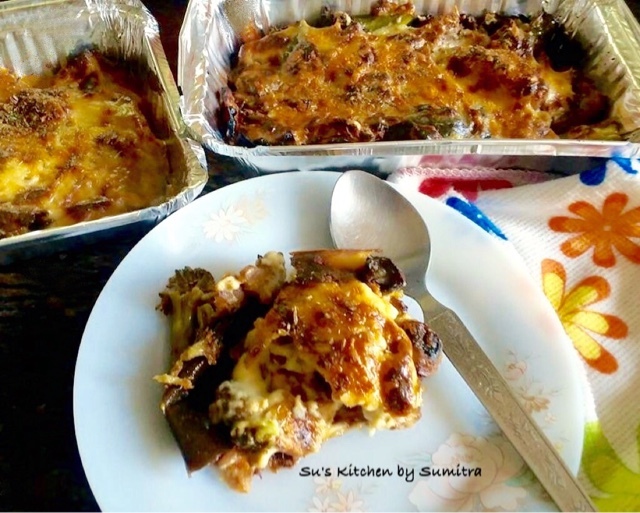 Pour the warm cheese sauce on top and garnish it with grated cheese. Serve it. Dopiaza means 2 onions. It is a South-Asian Curry dish. This dish was accidentally innovated in the kitchen of Mugal Emperor Akbar. 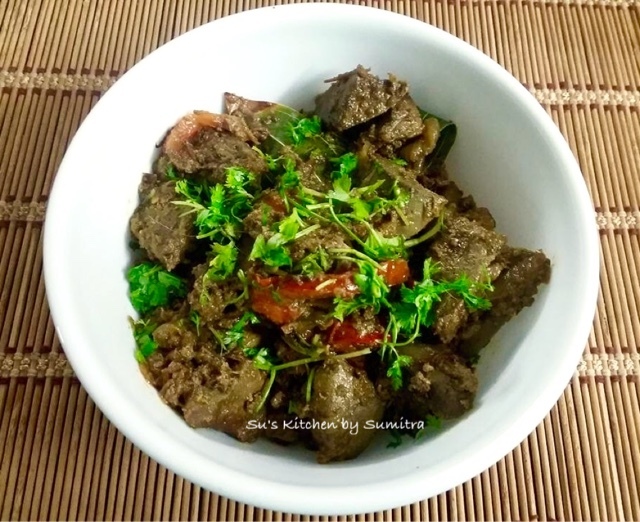 This dish is very popular in countries like India, Pakistan and Bangladesh and is adapted as per the communities living in that place. The onions are used in two stages. It is prepared with a large amount of onions, once caramelised and another with onion paste. 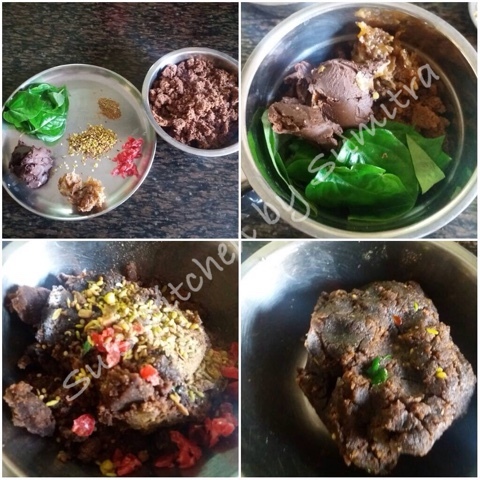 This dish is usually made with non vegetarian ingredients mainly meat,but now a days vegetarian Dopiaza is also made. A souring agent is added to the dish.The other ingredients which are used are meat, onions, ginger and garlic paste, whole spices and powder spices. 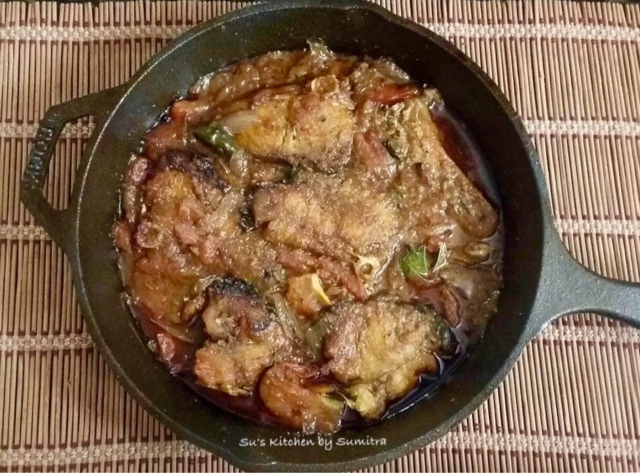 Here I have made Fish Dopiaza in Bangladeshi style. I have used Katla Fish. Any other fish like Rui, Prawns,Telapia,Bhetki can be used to make this dish. I have used tomatoes, but it can be replaced with curd or both can be used in equal proportion. 8 pieces of Katla Fish marinated with 1/2 tsp Turmeric powder and Salt. Take a pan, add oil and heat it till the smoking point. Reduce the heat. 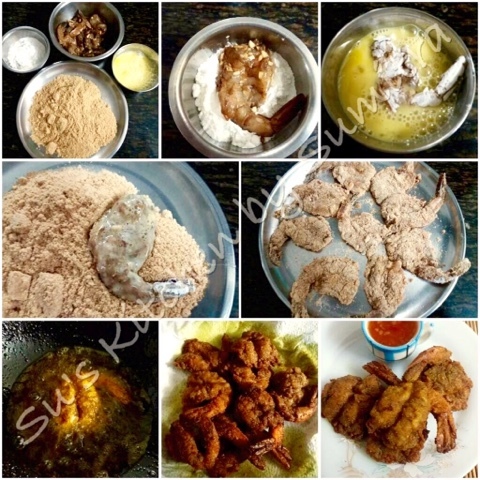 Fry the fish pieces till light golden brown in colour. Remove the fish pieces and keep it aside. 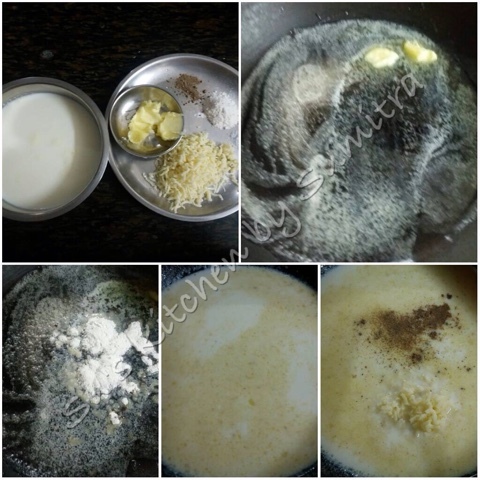 Remove the excess oil from the pan leaving 3 tbsp of the oil or ghee can also be used. Add the cardomom, cinnamon, cloves and pepper corn. Sauté it till it crackles. Add the green chillies and bay leaves. Sauté it for another few seconds. Add the sliced onions, sauté it for a minute, add the sugar. Sauté it till the onions become pink in colour. Add the onion paste and ginger - garlic - chilli paste. Sauté it for 2 minutes till the masalas starts to separate from the oil. Add the turmeric powder, chilli powder, cumin powder,coriander powder, pepper powder, garam masala powder and salt. Stir and cook for a minute. Add the tomatoes or curd, stir and cook for 2 minutes till the tomatoes become mushy. Add a cup of water and let the gravy simmer for a minute. 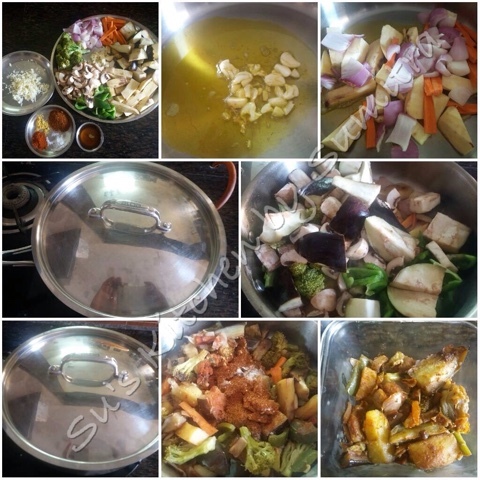 Arrange and place the fried fish in the gravy. Cover and cook for 2 minutes. Turn the fish pieces and cook for another 2 minutes. Serve it hot with hot steam rice or paratha. 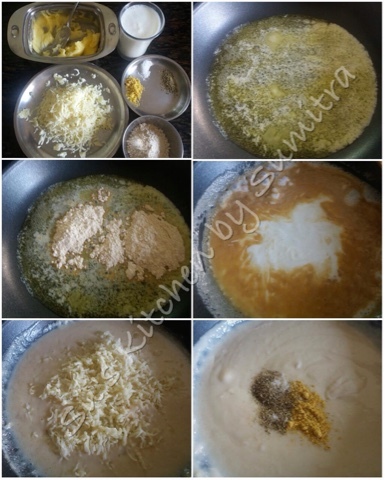 Take a non stick pan, add khoya, stir it continuously for 2 minutes on low flame. Add sugar and stirring it continuously, cook till the sugar dissolves. Add the almond powder, stir and cook for a minute, add 2 tbsp of milk and mix it. Add another 2 tbsp of milk, saffron, saffron colour and milk masala. Stir it and cook it for a minute. Add the remaining milk and cook it till it forms a soft dough. If required add a spoon or 2 of milk. To check, take a little portion and try to roll it. It should form a ball. Take it out, cover and keep it aside. Mash the cottage cheese well. No lumps should remain. 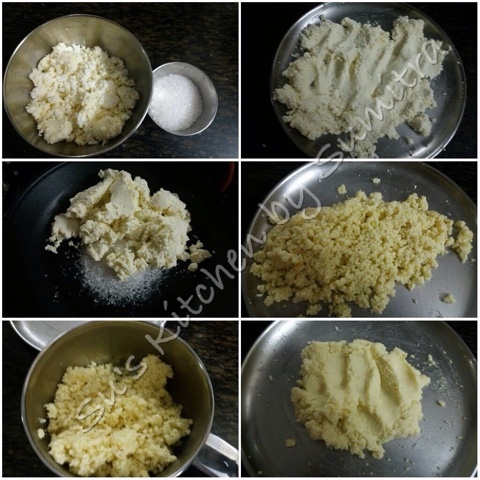 Take a non stick pan, add sugar, stir it on low flame for few seconds. Add the cottage cheese, keep stirring and cooking for 5 to 7 minutes till the sugar and cottage cheese combines well and starts to leave the sides of the pan. Remove it, cool the mixture a bit and add it in a grinder and pulse it 3 to 4 times. It will be come a smooth soft dough. 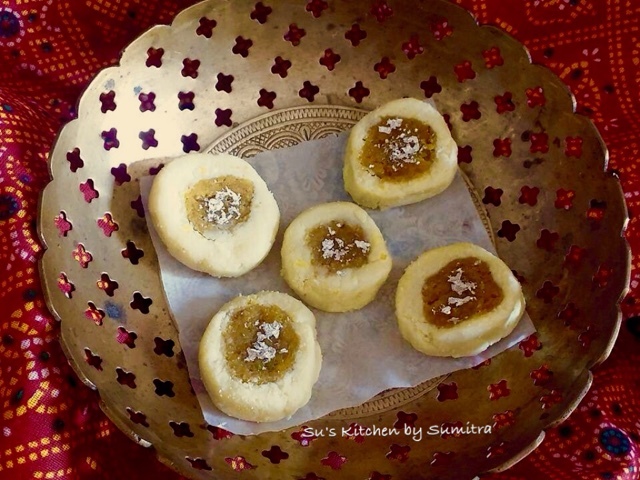 Sweet chutney is a must have Bengali delicacy enjoyed at the last course of the meal with papad. There are various types of chutneys which are served for meals during celebrations and festivals. 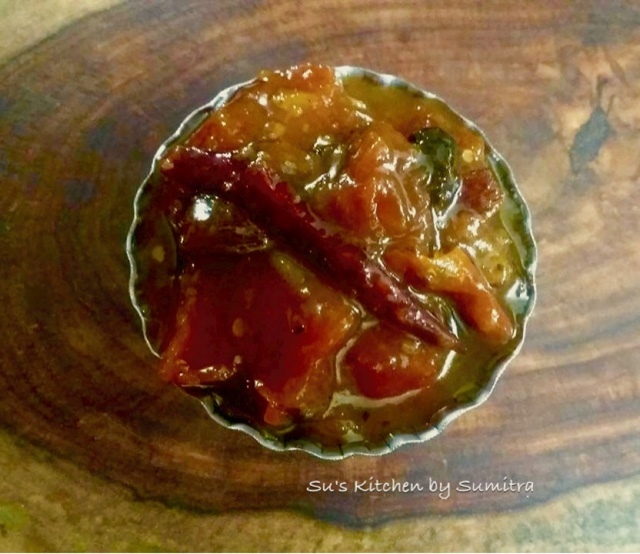 Tomato, date and dry mango pulp chutney is one of them. It can be kept for approximately 2 months in the refrigerator in a glass bottle. 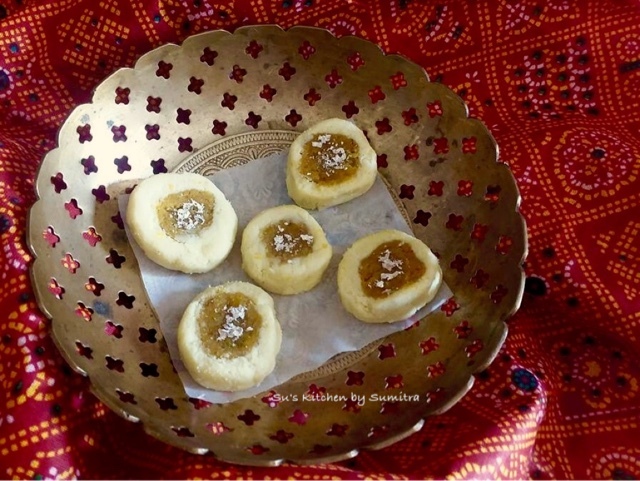 It is so scrumptious that it can be enjoyed with paratha, roti, luchi or just eaten like that. It is aways better to make it a day before as the taste enhances as it is stored. The seeds are dry roasted and ground to powder. Take a wok, add oil and heat it well. Add the Panch phoren. Let it crackle. Add the dry red chillies, bay leaves and ginger paste. Sauté it for a minute. Add the tomatoes. Stir it, add salt and turmeric powder. Stir it, add the dry mango pulp, dates and raisins. Stir it and cook it for 2 minutes. Add the sugar, stir and cook for 2 minutes. 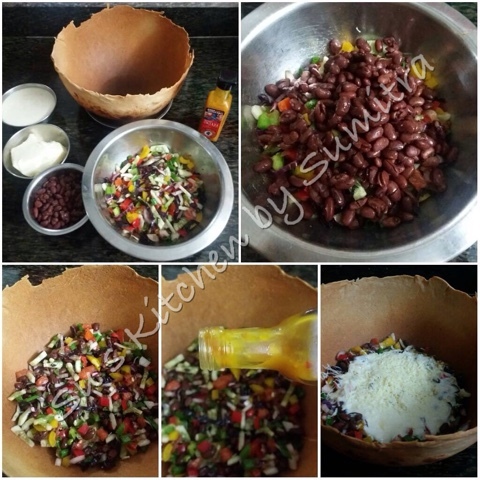 Add 1/2 cup of water, stir, cover and cook till all the ingredients combines together and it becomes mushy. Add the panch phoran powder. Mix it well. Let it cool. Serve it with any meal. 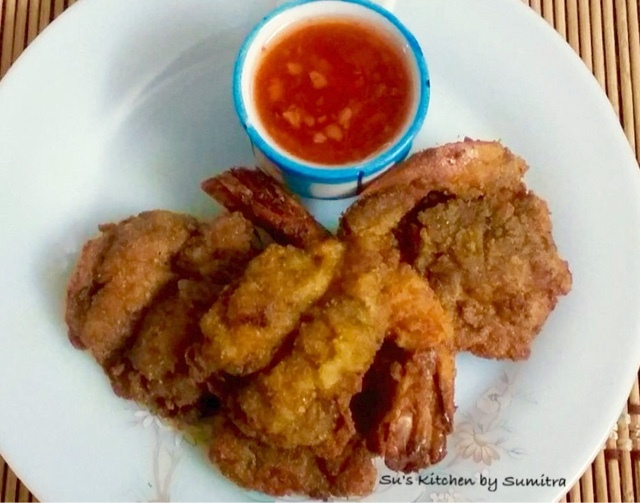 This is a Chinese style Butterfly fried Prawns. It can be served as a starter. Eat it hot and enjoy the crispy fried prawns with any sauce of your choice. Shell the prawns, leaving the tails. Slit the prawns lengthwise cutting through the back, leaving a think layer of meat till the tail. Add the soy sauce, garlic, ginger, salt and pepper powder to the prawns and mix it. Let it marinate for 1 hour. Take a pan, add oil and heat it. Dip the marinated prawn into corn starch. Then dip the prawn into the beaten egg. Coat the prawn with bread crumbs. Fry the prawn properly until it is golden brown in colour and crispy. 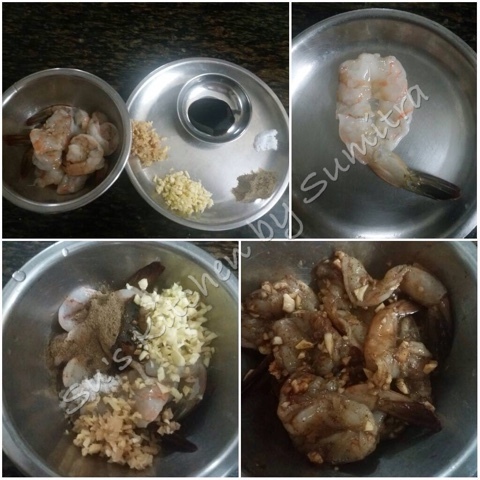 Remove and keep the fried prawn on an absorbent paper. Repeat the same process with the remaining prawns. Serve it hot with sweet chilli sauce or any sauce of your choice. As Goddess Durga has already left for her home.. for Bengalis Bijoya Dashami begins. Family and friends get together... adda and feasting continues. Mainly non vegetarian dishes are cooked like Mutton Curry and Mete (Goat Liver) Chorchori and are served with Rice or luchi and lastly sweet delicacies are served. This time I tried a different dish instead of Mete Chorchori.. 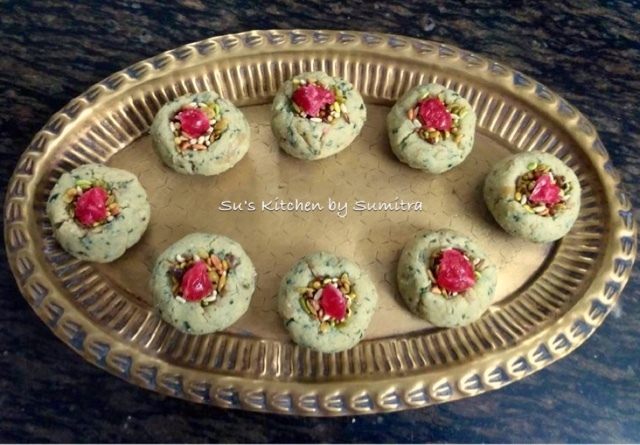 It is a semi dry dish and can be served as starters or can be served as side dish with Roti, Paratha or Luchi. Spiciness can be added as per your choice. Take a pressure cooker. Put the liver pieces, onion paste, ginger - garlic - chilli paste, salt and 1/2 tsp turmeric powder in the pressure cooker. Mix it and let it stand for 1 hour. Close the lid of the pressure cook and cook it till 4 whistles or until cooked. Let the pressure release, open the lid and keep the cooked liver in a bowl. Take a wok. Put ghee. Let it heat up. Add the cumin seeds and bay leaves. Let it crackle. Add the crushed garlic and sliced onions. Sauté it for 2 minutes. Add the green chillies. Stir fry it for 3 to 4 minutes or until the onions are brown in colour. Add the cooked liver. Stir it for a minute. Add the remaining turmeric powder, coriander powder, cumin powder and garam masala powder. Stir and cook for 2 minutes. Add the sliced tomato. Stir and cook for 3 to 4 minutes. Garnish with coriander leaves before serving. Take a mixing bowl. Mix flour, sugar and yeast. Add the salt. Mix it. Add water little at a time and knead the dough. 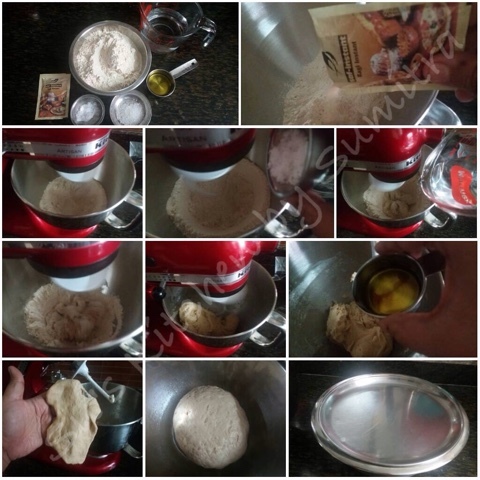 Stop adding water as the soft dough is formed. Keep kneading the dough for 5 minutes. Add 1 tbsp oil and continue to knead for 5 minutes more. Stretch the dough and see. If the dough is stretchable then it is done. Take a bowl, add the dough and apply oil on it. Cover and let it rise. Meanwhile while make the filling. Take a pan, add oil. Let it heat. Add the garlic and onion. Sauté it till it is light brown in colour. 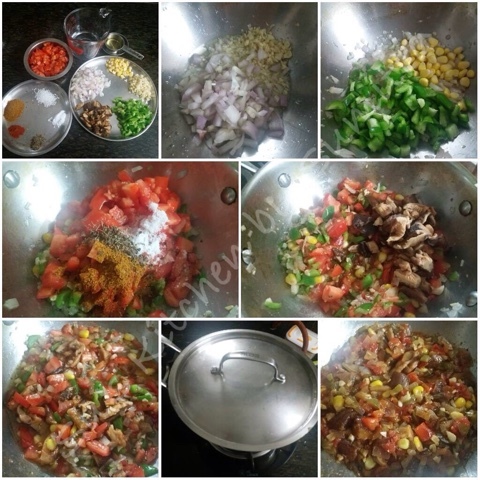 Add the chopped capsicum and corn. Stir and cook for 2 minutes. 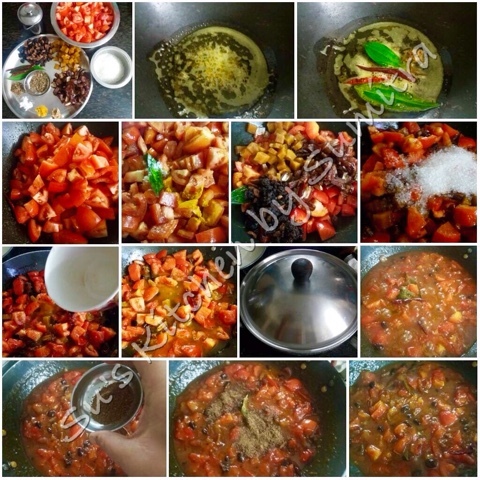 Add the tomatoes, sugar, salt, chilli powder, basil leaves, curry powder or kitchen king masala powder. Stir and cook for 2 minutes. Add the mushroom. Stir and cook further for 1 minute. Add 1/4 cup water. Stir, cover and cook for 5 minutes. The filling should not be liquid. It should be semi dry. Keep it to cool. Take the dough. Punch it and knead it for a minute. Make big lemon size balls. Grease the soup spoons. Take one dough ball. Roll it out in to long oval shape. Spread the dough out on the steel soup spoons. Press it well to aquire the desire shape of the spoon. Cut the excess dough out. Repeat it with the other remaining spoons. 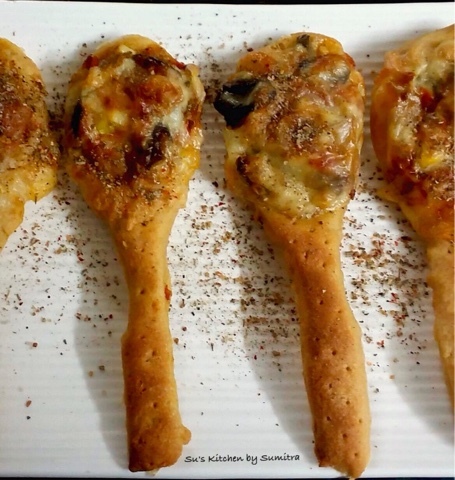 With the help of a fork, prick the dough. Let it rest for 10 minutes. Take some foil paper and make lime size balls out of it, place the foil balls below the handle of the spoon , this will give support to the spoons. Add a tbsp of the filling into each spoons. Sprinkle with cheese. 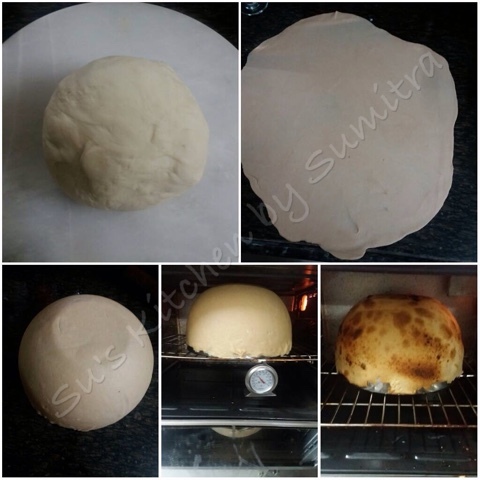 Bake it at 180 degrees celcius for 20 minutes or till the bread turns light brown in colour in a preheated oven. Remove it from the oven. Let it cool. Remove the edible spoons very gently and separate it from the steel spoons. Sprinkle dry oregano or Italian herbs and serve it hot. Most of the time oil and the masala from the pickle remains back. This comes to me quite handy when I want to make a quick spicy dish. Just add some spoons of it to the vegetable or meat or fish and it gives a achari flavour to it. Today I have made Achari Sattu Ki Puri using this achar masala. 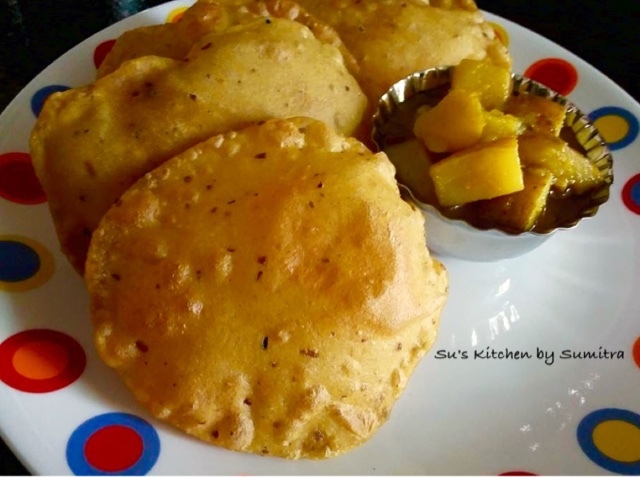 This Puri is quite flavourful and can be eaten with a cup of tea or accompanied with some potato bhaji. Take a mixing bowl. Add the Sattu, All purpose flour, salt, turmeric powder, carom seeds and 3 tbsp of left over achar masala. Mix all the ingredients together well. Add water little at a time to get a semi hard dough. Knead it well. Add the remaining achar masala, knead it for 2 minutes more. Cover and keep it aside for 15 minutes. Make lime size equal portions. Heat the oil for frying the puris. Take a portion, apply little oil on the rolling board. Roll out the dough in to round shape disc. 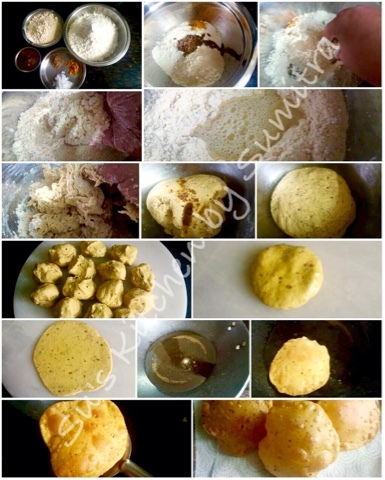 Fry the puri until golden brown on both the sides. Remove it on an absorbent paper. Repeat the process with the remaining portions. Serve it hot with aloo tarkari. 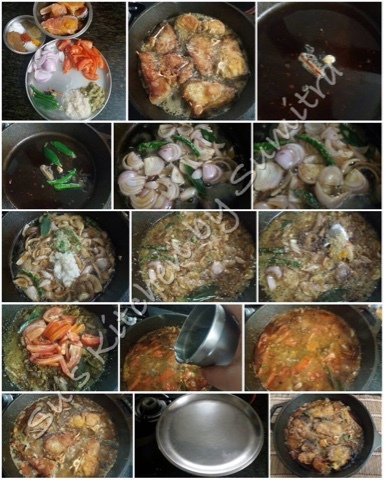 This a very popular dish of Bengal usually made with different types of fishes. 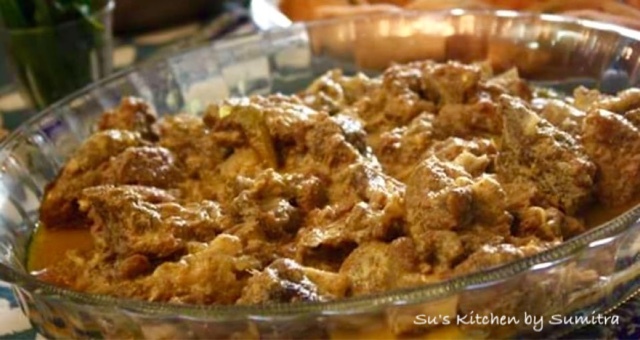 Here I have made it with mutton and cooked it in a bit different way. 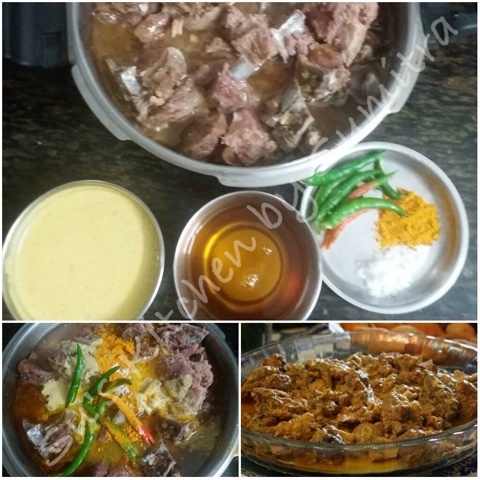 First the mutton has to be marinated well for 4 to 5 hours and then it has to be half cooked in a pressure cooker and again cooked with mustard paste, mustard oil, salt, turmeric powder and green chillies till it is tender. It taste delicious with hot steamed rice. Marinate all the above ingredients and keep it aside for 4 to 5 hours. 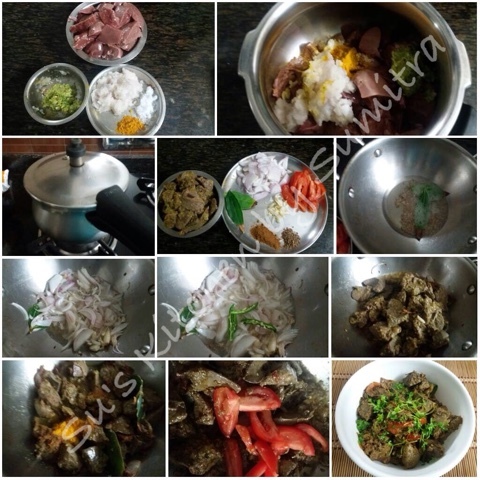 Press cook the mutton without adding any water. Give 2 whistles. After the pressure releases. Remove the cover. Add the mustard paste, salt, turmeric powder, mustard oil and green chillies. Stir it. Give another 3 to 4 whistles or until the mutton has become tender. Let the pressure release, remove the cover. Let it stand for 10 minutes before serving it hot with rice. 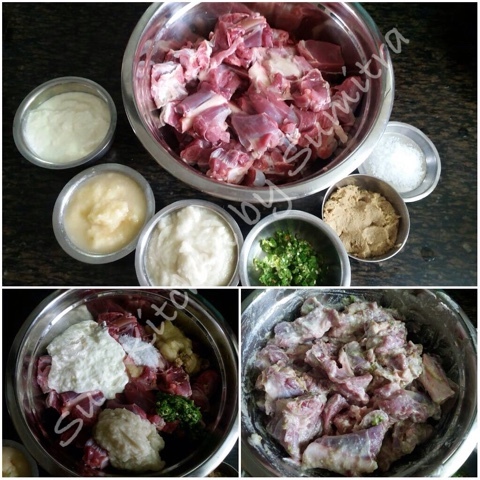 P. S. While buying the mutton, please remember to buy tender mutton.. After the mutton is cooked and eaten with rice, the mutton should be soft enough to melt in your mouth. Before grinding the mustard seeds, soak the seeds in water for 30 minutes and then grind them. Strain the paste before using it.